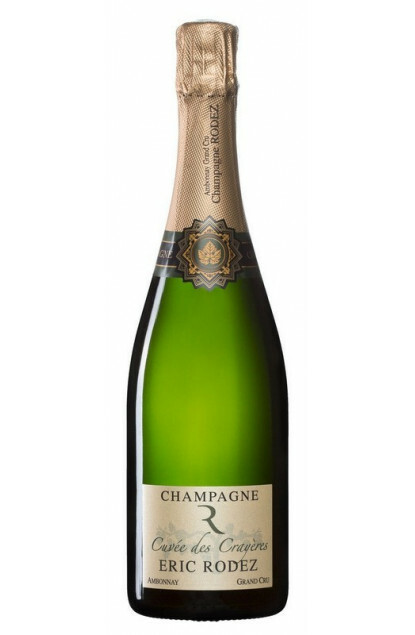 This Grand Cru Champagne exclusively from Ambonnay is a blend of 60% Pinot Noir and 40% Chardonnay, thus bringing structure from Pinot Noir and finesse and elegance from Chardonnay. Moreover, the Crayères Cuvee is elaborated with a dozen of wines from 4 to 5 different years with 20 to 25% of the wines vinified in small oak barrels. The colour is a clear gold with small golden reflections. Very mineral and floral to the nose. The taste is generous and fresh, combined with notes of small red fruits like wild strawberry and the finish is wonderfully lingering combined with a light wooden and vanilla note. It has been almost three centuries that the Rodez family are linked to the champagne land and most notably the Ambonnay terroir, with its small village and streets surrounded by the vineyards’ boundary walls. Nowadays, it is Mickael, a ninth generation, who took over. Just like before, this House continues to vinify the main part of its Champagnes in small oak barrels. The majority of the wines don’t go through a second malolactic fermentation, thus allowing the wine to age longer in cellar, while enhancing its qualities.